The VW Golf drove away from its rivals to finish 2009 as Europe's best seller. Editor's note: Story has been changed to reflect a corrected finish of the top 10 selling cars in Europe in 2009. 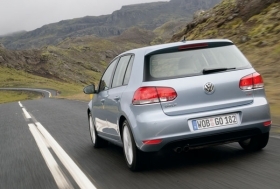 TURIN -- The Volkswagen Golf finished 2009 as Europe's best-selling model, retaining the No. 1 spot for the second year in a row. 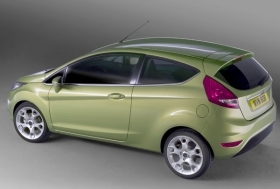 The Fiesta is one of the cars to benefit from car scrapping subsidies offered in the major European markets. The thousands of euros in government-sponsored incentives turned used-car buyers into new-car buyers as they traded-in their old cars for newer, more fuel-efficient models such as the Fiesta, 207 and Corsa. Sales of the sixth-generation Golf, which debuted in 2008, increased 23.9 percent to 571,838 units in 2009, according to UK-based market researchers JATO Consult. Sales of the Fiesta rose 44 percent to 472,091 units last year, according to sales data from all of Europe plus Turkey. The 207, Corsa and Fiat Punto rounded out Europe's top five. Like Ford, Fiat and Opel/Vauxhall also had two cars in the top 10. The Ford Fiesta has benefits from scrapping incentives. The Ford Fiesta was a big winner in 2009. 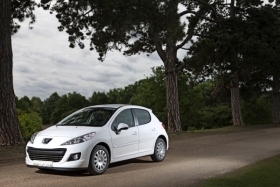 The Peugeot 207 was one of the best sellers in Europe during the past decade.